Hudson treatment for addiction transforms lives and restores a sense of wellbeing. Addiction is a chronic disease that involves changes in brain function and structure caused by a chronic drug or alcohol abuse. The National Institute on Drug Abuse stresses that willpower and good intentions alone are rarely enough to end an addiction, and professional help is almost always needed. Hudson treatment for addiction through WhiteSands Treatment can help you reclaim your life and end your addiction for good. Addiction changes the way you think and behave. Over time, you develop self-destructive thought patterns, such as all-or-nothing or catastrophic thinking, and you engage in unhealthy behaviors, such as lying, stealing, or hiding your drug abuse from others. A major focus of treatment is helping you identify these unhealthy thoughts, ideas, attitudes, beliefs, and behaviors and replace them with healthier ways of thinking and behaving. Address the issues that underlie your addiction, which may include chronic stress, mental illness, or a history of trauma. Develop essential coping skills for dealing with stress, cravings, and other triggers. Identify and replace harmful thought and behavior patterns. Manage a co-occurring mental illness or physical health problem. Repair damaged relationships and learn healthier communication and interpersonal skills. Find purpose and meaning in a life free of addiction. Learn to have fun and enjoy life without drugs or alcohol. Choosing between outpatient treatment and inpatient treatment Hudson is a matter of knowing which type of program is best for your particular needs and issues. Outpatient treatment can be successful as long as you have the strong intrinsic motivation to recover and a solid support system at home and in the community. Outpatient treatment enables you to keep working, attending school, or caring for the family while receiving treatment. It also offers a higher level of privacy since you don’t need to explain away a long absence. Inpatient treatment is essential for people who have a long history of addiction or who are ambivalent toward recovery, have a co-occurring mental illness, or don’t have a safe place to live and a high level of support at home and in the community. 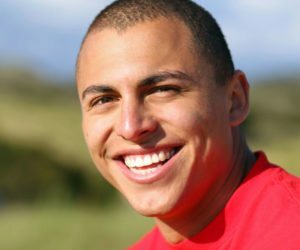 Residential substance abuse treatment enables you to focus solely on recovery without outside stressors getting in the way, and it offers a high level of support from peers and staff. The Substance Abuse and Mental Health Services Administration stresses that a holistic approach to treatment offers the best possible outcomes for long-term recovery. A holistic program will offer both traditional and complementary therapies that help you look at issues from a variety of angles and develop the essential skills you need for successful abstinence. Cognitive-behavioral therapy is the most commonly used traditional therapy in addiction treatment. It helps you evaluate your thoughts and behaviors and become more self-aware of your attitudes and beliefs. Other common traditional therapies include psychoeducational classes, which help you understand how addiction develops and is treated, and motivational interviewing, which helps you find intrinsic motivation to recover. Common complementary therapies used in residential substance abuse treatment at WhiteSands Treatment include biofeedback, which helps you learn to control your body’s stress response; exercise therapy, which helps you relieve stress and regain health; and massage therapy, which reduces stress, improves the function of your body systems, and leads to greater body- and self-awareness. Hudson treatment for addiction has helped many people recover from an addiction for the long-term. If you’re ready to repair your relationship, restore your health and well-being, and find purpose and meaning in a life without drugs or alcohol, contact WhiteSands Treatment at (877) 855-3470 and let us help you reclaim your life.